Manildra Meat Company, from 2014. This link will lead to a interactive page that lists past and present abattoirs, meatworks and processors in Australian. For employment enquiries contact Manildra Meat website and go to contacts. Originally the facility was established by Mr Noble’s wife’s (Colleen) parents12. GM Scott name is derived from Mrs Colleen Noble’s mother’s name. Grace Margaret Scott12. Mr Barry Noble had worked at an abattoir in Homebush12..
Homebush was Government owned and closed down12.. Upon closure Mr and Mrs Noble looked at sites for their own establishment12. 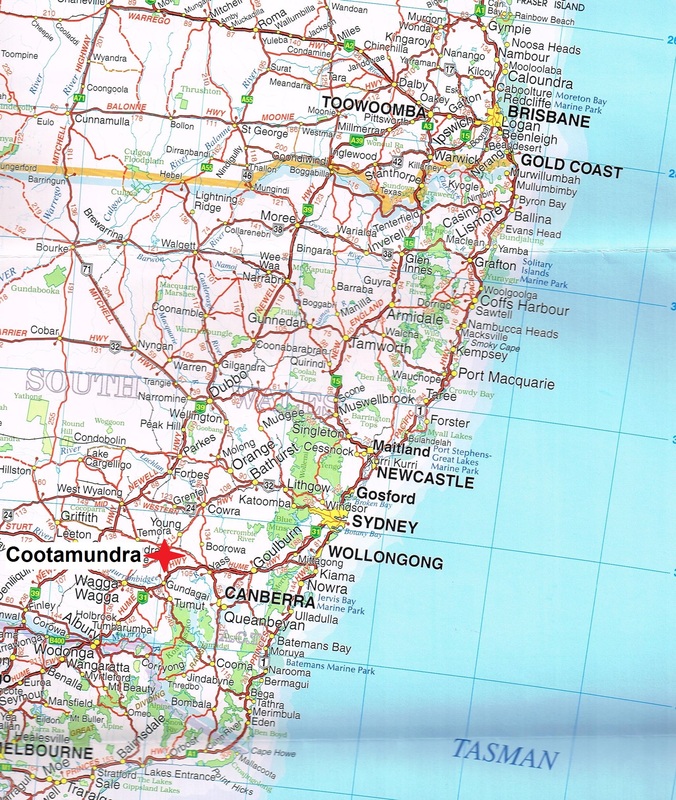 Area of Cootamundra was centrally located with an abundance of top quality livestock in the area to source supply12. Lamb products brought between May 27 and June 5 in NSW, Vic, Tas, SA and NT have been recalled9. Owner of the Cootamundra facility Mr Barry Noble dies of a respiratory illness12. Died at 85 years old. Established the abattoir in the 1980’s12. Installation of improved technology had always been very important to Mr Noble to enable the facility to keep ahead of competition12. Manildra is 100% Australian owned13. September. New Goat abattoir is proposed at Blayney, off Newbridge road14. 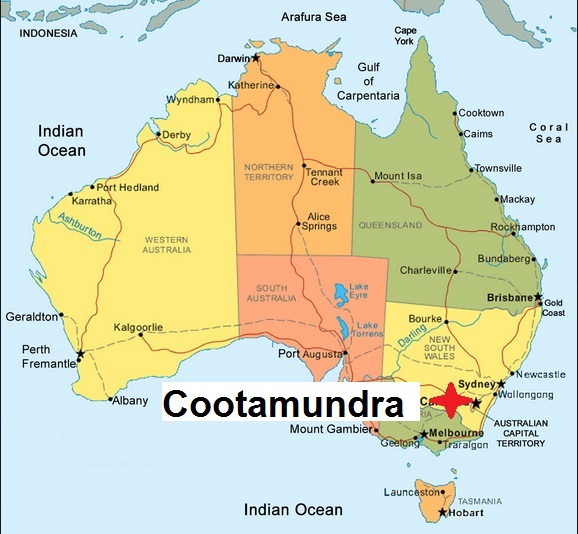 Cootamundra livestock producers are looking to a 2nd abattoir in Cootamundra to process livestock for the domestic market15. Export lines are given priority kill over other supplies of kill space15. Many farmers in the area are organic producers15. Manildra meat Company have offered producers services of its plant on commercial terms appropriate to the operation of the business15. “We will focus on small, domestic service kills, They will be all about processing only with no packaging or wholesale from the site. We don’t intend to put anything in a box” Mr David Booth16. December. $10M upgrades are occurring at the Cootamundra abattoir17. Abattoir aimed to not only meet industry standards but be industry leaders18. Working dogs are muzzled to prevent biting. The dogs are restrained in purpose built dog boxes when not required and used sparingly. Graded steel ramp used for the sheep to reach the initial restrainer stunning area is about 3 – 5 storeys high. Sheep were unsettled when the sheep could see they were elevated. Construction of a corrugated iron floor beneath the ramp, concealed the height and allowed the sheep to move up it more calmly18. Eventually the entire ramp will be concealed18. 4 men herd the sheep through the gates and towards the stunning area18. Dam had burst its banks and washed away part of a railway embankment21. Dam located on Manildra Meat company land bursts its bank and undermines the train track. As of December this year the Cootamundra abattoir would no longer process meat for Woolworths22. Well known in 2010 that lamb meat processed in Cootamundra was sold throughout NSW Woolworths stores22. Mr Ron Ward used to have his meat processed at Cootamundra but since 2014 now has his stock processed at Cowra25. Accessible abattoirs willing to process organic produced animals is of concern to local producers27. Authors note – Mothballed is a term used to describe placing a facility in shutdown but still keeping up maintenance and all required standards to re-open and begin operation of animal slaughter in a short period of time. Facilities may maintain Aus-meat registration status even though they are not actually processing any stock. April. JBS Australia announce they will temporarily close two of its southern lamb processing plant due to current livestock supply and price conditions31.